KUALA LUMPUR: Employers and employees in Malayia are expected to fork out an additional RM1.2 billion in cost, annually, if the Employment Insurance Scheme (EIS) is enforced by January 2018. The Federation of Malaysian Manufacturers (FMM) President Tan Sri Lim Wee Chai said the calculation was based on an average annual salary of RM24,000, 10 million local employees and 0.5 per cent EIS contribution rate. "It would add an extra burden to all companies in the country," he told a media conference on the EIS here today. Under the EIS proposal, employers and workers were each required to contribute 0.25 per cent of the median wage of RM1,800 every month. 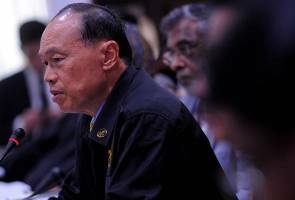 Lim said the existing labour law was good enough to protect retrenched workers, and Malaysia was reportedly ranked the fifth highest in the world in giving retrenchment benefits. For instance, he said out of the 60,000 or 0.6 per cent of the total workforce who were retrenched during the 2008-2009 financial crisis, the law had allowed 95 per cent of them to receive compensation from their employers. "It's not that we are against the principle (of the EIS) of helping the lower income group when they lose their jobs. "But, to collect RM1.2 billion a year to help the remaining five per cent laid-off workers is like using a big canon to kill a small mouse," he said. Hence, he suggested the government come out with a tailored-made scheme to fit the remaining five per cent of employees who failed to receive compensation. However, Lim said the federation was open to further discussions with the government over the matter to find a win-win solution. Human Resources Minister Datuk Seri Richard Riot Jaem was reported as saying that the EIS was expected to be tabled in Parliament in June or July. He said the scheme was also expected to be implemented by Jan 1, 2018.